Following a familiar pattern, a Florida judge last week last week rejected collision repairers’ arguments in 14 lawsuits against insurers and dismissed the cases for now. 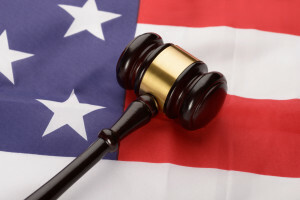 The dozens of auto body shops which accused insurers of steering and antitrust violations in 12 states will have the opportunity to refile most of the arguments — and the court did offer a bit of hope for steering cases in particular surviving dismissal motions. To avoid legal repetition, a federal judicial panel has given cases from about a dozen and a half states’ collision repairers to Middle District of Florida Judge Gregory Presnell to hear, though each states’ own laws will apply to the decisions if they differ from Florida’s statutes. He has in turn tapped Magistrate Judge Thomas Smith to review each case and offer recommendations. No lawsuit so far has survived Presnell’s rulings in the first round of motions to dismiss. However, the shops in the previous half-dozen or so states have all heavily revised their arguments to include all kinds of juicy new details. (It’s been implied that these were absent in the earlier version of the case as a legal strategy.) It’s likely this will happen for these states’ repairers too. In fact, Smith seemed to imply such detail could help the tortious interference claims (the legal term for “steering”), according to Presnell, who didn’t seem to disagree. Overall, Presnell’s ruling Aug. 17 mostly followed Smith’s guidance — and Presnell also noted that the auto body shops didn’t object to several of Smith’s views. Because of the lack of objections from collision repairers, Presnell dismissed all the federal and state antitrust allegations; Michigan and California conversion claims; complaints under Washington state, Oregon and California statutes; and Washington and Pennsylvania insufficient payment accusations without prejudice, which allows the collision repairers’ attorneys to refile the cases. He also dismissed all the quasi-estoppel claims against insurers with prejudice, which means they can’t be raised in future revised lawsuits. Presnell also disagreed with Smith’s recommendation to dismiss without prejudice an Oregon Unfair Trade Practices Act claim in Leif’s Auto Collision Centers v. State Farm et al. As the collision repairer plaintiff didn’t object to GEICO’s motion to kill the allegation for good, Presnell ruled for a dismissal with prejudice. As Presnell did in his ruling, we’ll discuss the other claims, collision repairers’ arguments, and Presnell’s (and Smith’s) reasons for rejecting the allegations for now. Loosely translated, you can’t give someone something intentionally and then sue them to get paid for the gift. Also, some states require a “reasonable expectation” of compensation, according to Presnell’s summary of Smith’s report. This has been problematic for shops in other cases as the lawsuits pretty much allege that insurers won’t pay a reasonable rate. Together, these bring up the same sticking point as in other cases: The court wonders why collision repairers don’t reject the work. “Judge Smith concluded that the Plaintiffs’ pleadings showed them to be, at best, officious volunteers, performing repair services for which they now sought additional compensation without any attempt to bargain with Defendants and without a reasonable expectation of additional compensation from them,” Presnell wrote. Shops aren’t required to negotiate. Trying to negotiate with insurers is futile. The collision repairers were hired by customers whose insurance policies (or those of the third party which struck them) call for reimbursement of the collision repair. All the services provided to insurers’ customers deserve payment. Thus, it’s unfair for insurers to refuse to pay what shops want. “Some of the Plaintiffs’ assertions appear to be true, but none of them will bear the weight the Plaintiffs wish to place upon them,” Presnell wrote. Because shops agreed to perform the work and didn’t have a pre-existing duty to do so (as opposed to an ER doctor, who can’t just refuse to treat a gunshot victim because of a dispute with an insurer), they can’t collect more pay after the fact, according to Presnell. Obviously, this ignores the reality that rejecting every customer whose insurer won’t pay a rate viewed as fair could cost a collision repairer 70-80 percent of their business, and requiring the customer to pay the difference makes the shop look like the bad guy. But it seems as though the courts so far are saying they’ll have to do so, not unlike the doctors rejecting patients with certain coverage from the federal health care law described in this USA Today story. Still, the complaints have been dismissed without prejudice, which means there’s still perhaps an argument that’ll work in future versions of the lawsuit. As for the quantum meruit allegations, Presnell not surprisingly rejected them on the same grounds as the unjust enrichment claims in all the states that view the two concepts as synonymous. Presnell also used a similar rationale to reject most of the counts in the remaining states for which the law differs. As mentioned above, Presnell in dismissing the tortious interference claims noted that specific allegations of steering could allow the allegations to stand in the future. However, it’s unclear if shops will need to produce specific allegations for every single defendant to please the court or if describing a few insurers’ alleged steering will allow the claims against all the defendants to stand. Expanded lawsuits to date still have failed to lodge steering claims specific to each defendant, particularly some of the smaller regional insurers sued. Michigan collision repairers had also alleged that insurers breached a duty to pay for repairs, arguing that payment of part of a debt acknowledges the rest of the debt. However, Presnell said case law didn’t support that argument and the precedents cited primarily related to statutes of limitations anyway. Those curious about growing insurance business without direct repair programs or as part of an MSO should check out “Don’t Let Consolidators and MSOs Steal Your Insurance Work” from Michelle Nelson, B2B Automotive, at the SEMA Show as part of the Society of Collision Repair Specialists’ Repairer Driven Education Series. Register here.